Akrapovič. 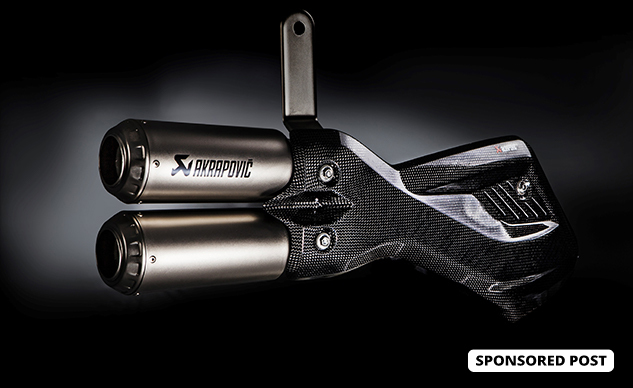 You might have that word on your bike’s exhaust, and you’ve certainly seen Akrapovič’s distinctive logo on thousands of racing vehicles over the years, from MotoGP, WorldSBK, MXGP to Dakar and even to four-wheeled competition in the FIA World Endurance Championship. When Jorge Lorenzo clinched the 2015 MotoGP World Championship for Yamaha, Akrapovič took home its 100th world-championship title; just 15 years after American Colin Edwards (Honda) won WorldSBK title in 2000, first world championship title for Akrapovič exhaust.